This is the eighth year of The Qwillery's Debut Author Challenge (DAC or Challenge). Again this year many of the 2018 Debut Authors will be writing guest blogs either before or after publication. Near the publication date, if possible, each of the 2018 Debut Authors will be interviewed. Debut Authors' novels will be listed in a post on the first of each month. 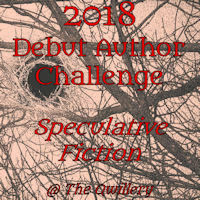 The monthly debut list may include novels/authors not featured in the Challenge. What is a Debut for purposes of the Challenge? The novel must be a full length adult fiction novel. For the purpose of determining a debut, the United States publication date is used. The copyright date or non-US publication date will not be used. If the author has written YA or MG fiction, her or his first full length adult fiction novel will be a debut for the purposes of the Challenge. 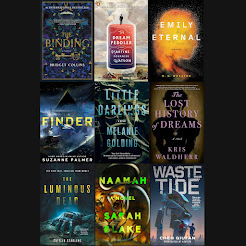 If the author has written non-Speculative Fiction, her or his first full length adult Speculative Fiction novel (see list below) will be a debut for purposes of the Challenge. If the author has written non-fiction and this is the first full length adult fiction novel, it will be a debut for purposes of the Challenge. If a full length adult fiction novel previously has been published outside of the United States, but it is being published for the first time in the United States, it will qualify as a debut for purposes of the Challenge. If the author has only written novels that are part of an established series or canon, his or her first original full length adult fiction novel will qualify as a debut for purposes of the Challenge. A point of clarification - at this time and for the foreseeable future, self-published novels are not eligible to be featured in the Challenge. The fiction genres and subgenres covered by the challenge are Fantasy, Urban Fantasy, Epic Fantasy, Historical Fantasy, Paranormal Mystery, Horror, Science Fiction, SciFi Romance, Steampunk, Steampunk Mystery, Steampunk Romance, Paranormal Romance, Occult and Supernatural, Supernatural Noir, Dystopian, Apocalyptic, Post-Apocalyptic, CyberTech, CyberPunk, etc. and all their permutations including novels that include elements of these genres and subgenres (collectively "Speculative Fiction"). Please note that this list is not inclusive. The debuts are not YA unless there is very strong Adult crossover appeal. The object of the 2018 Debut Author Challenge is for participants to read at least 12 debut novels published during 2018 - one from each month of the year though you may read them anytime between January 1, 2018 and January 15, 2019. Everyone who reads at least 12 novels (1 from each month) will have her/his name thrown into a drawing for a US$100 Gift Certificate to an online bookstore to be determined by The Qwillery. If you are going to participate email The Qwillery at DAC.TheQwillery @ gmail .com. Please note that to be eligible for the Gift Certificate you must email The Qwillery monthly to let us know which debuts you've read. You can simply email the title and author name or a link to a review you've written. Debuts should be chosen from the monthly debut list posted at the beginning of each month. If you know of a debut that is not on the list please let us know. See the January Debut Author list at this post. See the February Debut Author list at this post. 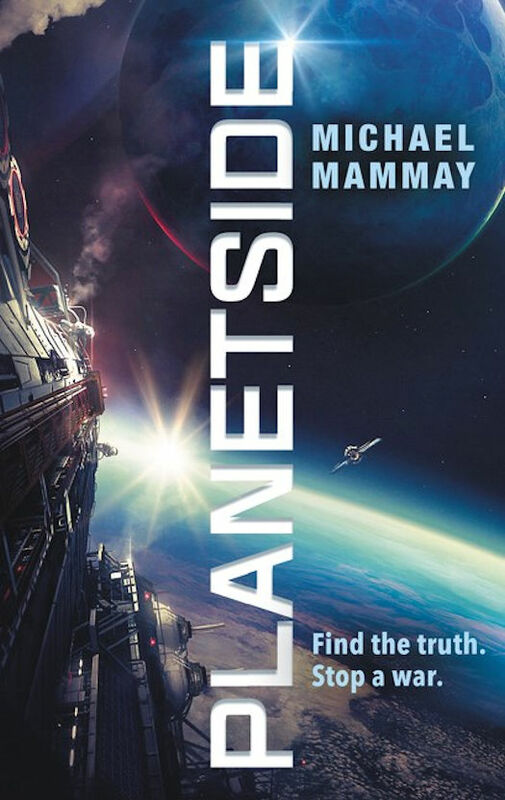 See the March Debut Author list at this post. See the April Debut Author list at this post. See the May Debut Author list at this post. See the June Debut Author list at this post. 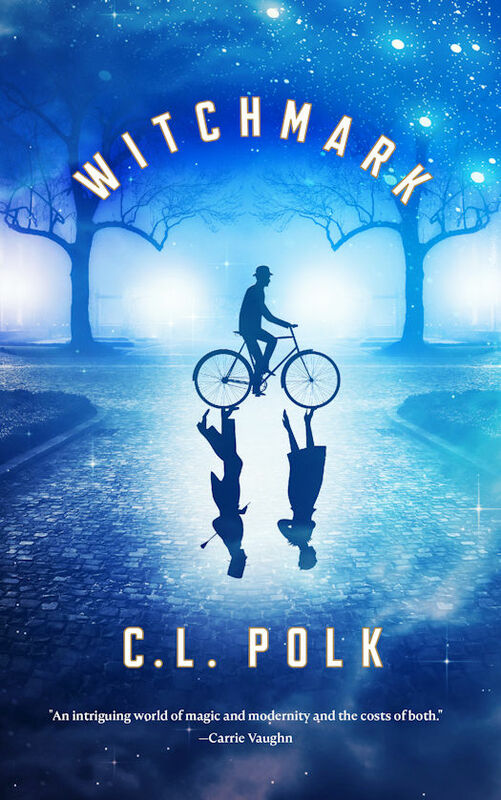 See the July Debut Author list at this post. 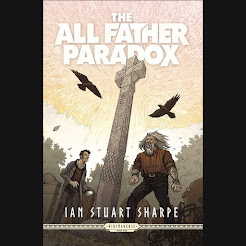 See the August Debut Author list at this post. See the September Debut Author list at this post. See the October Debut Author list at this post. 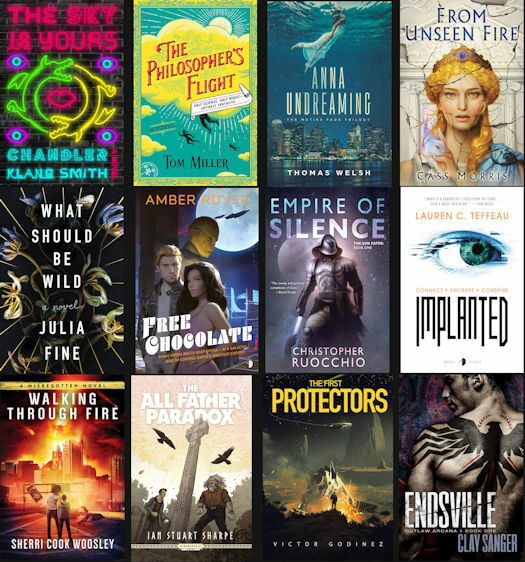 See the November Debut Author list at this post. See the December Debut Author list at this post. The following Debut Authors will be visiting The Qwillery during 2018. Please note that they are listed in author alphabetical order, not guest post, interview or release date order. 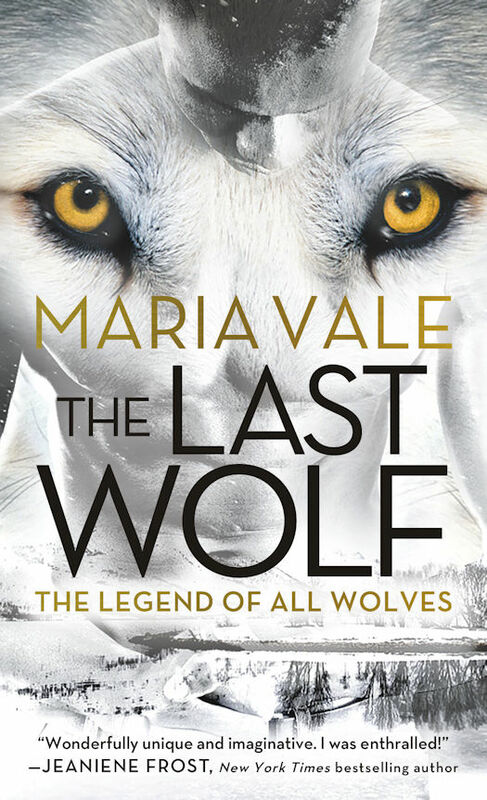 Violence and death come to the land under the Northern Sky when two fierce races break their age-old fragile peace and start an all-out war in this thrilling and savagely visceral epic fantasy. Ready or not, Roper has been thrust into a position of leadership that he's woefully ill prepared for. Now, a massive army approaches from the south, old allies turn against him, and new rivals seek to undermine his rule. 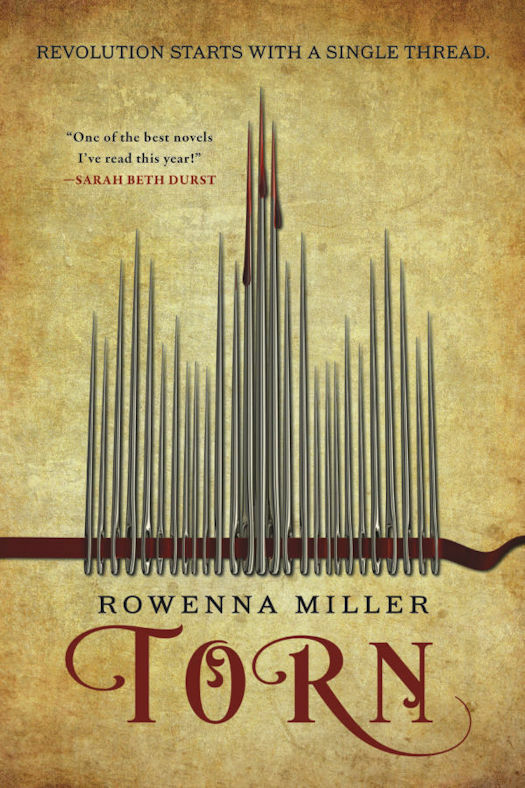 Facing attack from within and without, Roper must forge reckless alliances, no matter the cost, to save his kingdom. Bellamus is a brash but capable southern general, a commoner with the rare honor of having the discreet support of the Queen. Rising quickly from the minor ranks he was born into, Bellamus leads the march on the North. Victory means glory, power, and the favor of the king, but defeat promises much worse than disgrace. 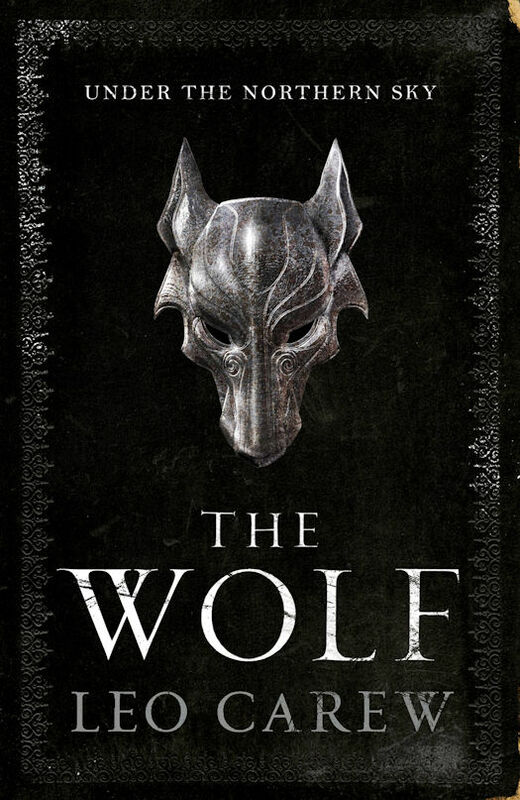 A tale of war, rivalry, and honor, The Wolf creates a world that is both familiar and uncanny - one where the fiercest enemies are always closer than they seem. 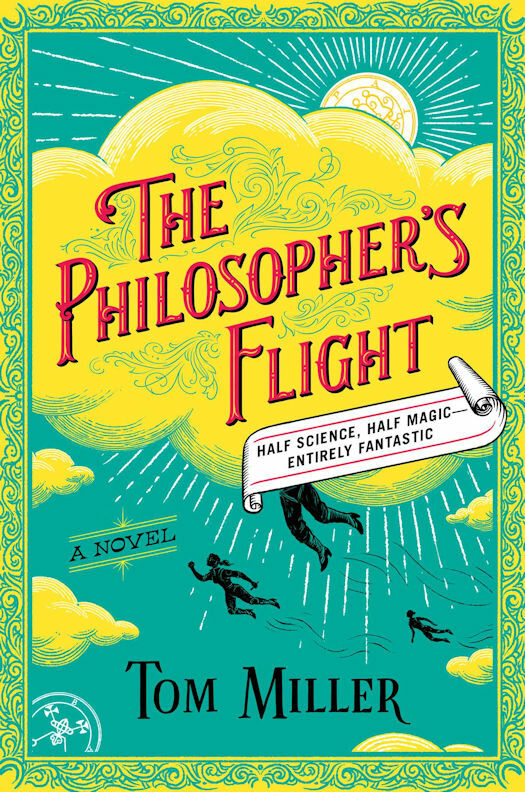 Francesco Dimitri's first novel written in English, following his career as one of the most significant fantasy writers in Italy, will entrance fans of Elena Ferrante, Neil Gaiman and Donna Tartt. Set in the beguiling and seductive landscape of Southern Italy, this story is about friendship and landscape, love and betrayal; above all it is about the nature of mystery itself. 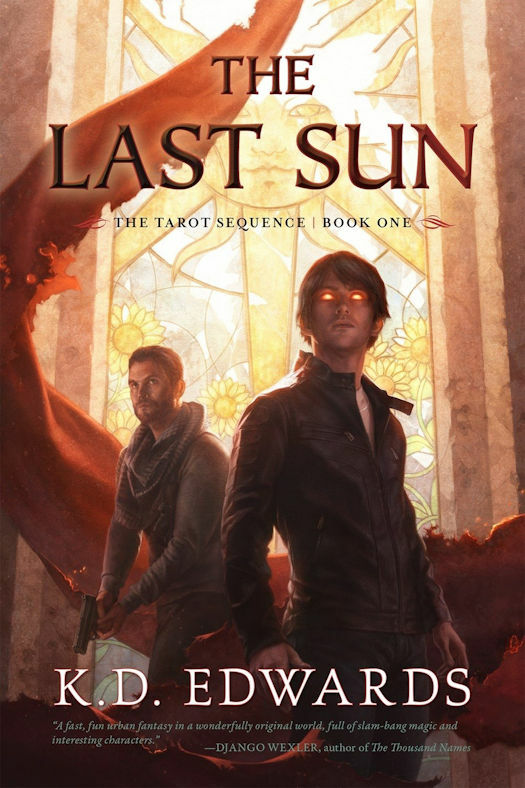 Rune Saint John, last child of the fallen Sun Court, is hired to search for Lady Judgment's missing son, Addam, on New Atlantis, the island city where the Atlanteans moved after ordinary humans destroyed their original home. 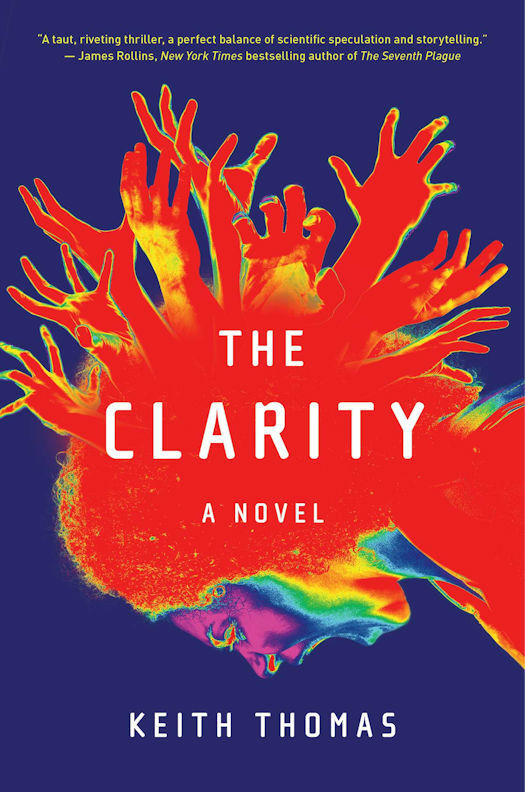 Investigative journalist for WSMV-TV in Nashville, Jeremy Finley's debut thriller explores what happens to people’s lives when our world intersects with the unexplainable. When the seven-year-old grandson of U.S. Senator vanishes in the woods behind his home, the only witness is his older brother who whispers, “The lights took him,” and then never speaks again. As the FBI and National Guard launch a massive search, the boys' grandmother Lynn Roseworth fears only she knows the truth. But coming forward would ruin her family and her husband’s political career. 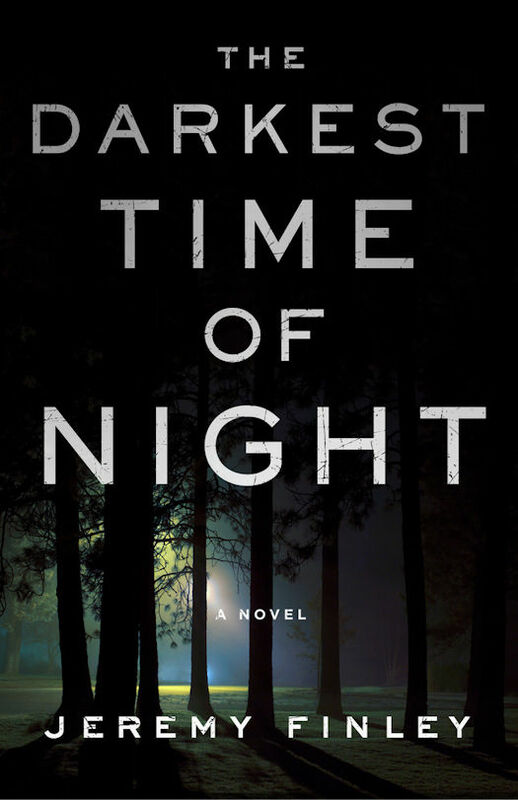 The Darkest Time of Night is a fast-paced debut full of suspense and government cover-ups, perfect for thriller and supernatural fans alike. 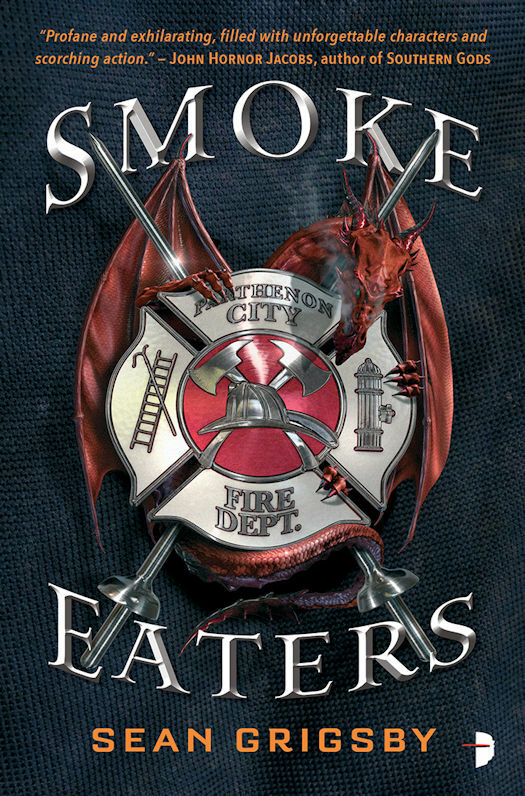 When dragons rise from the earth, firefighters are humanity’s last line of defence, in this wild near-future fantasy. Firefighter Cole Brannigan is on the verge of retirement after 30 years on the job, and a decade fighting dragons. But during his final fire call, he discovers he’s immune to dragon smoke. It’s such a rare power that he’s immediately conscripted into the elite dragon-fighting force known as the Smoke Eaters. Retirement cancelled, Brannigan is re-assigned as a lowly rookie, chafing under his superiors. So when he discovers a plot to take over the city’s government, he takes matters into his own hands. With hundreds of innocent civilians in the crosshairs, it’s up to Brannigan and his fellow Smoke Eaters to repel the dragon menace. Outwardly, Jovan is the lifelong friend of the Chancellor’s charming, irresponsible Heir. 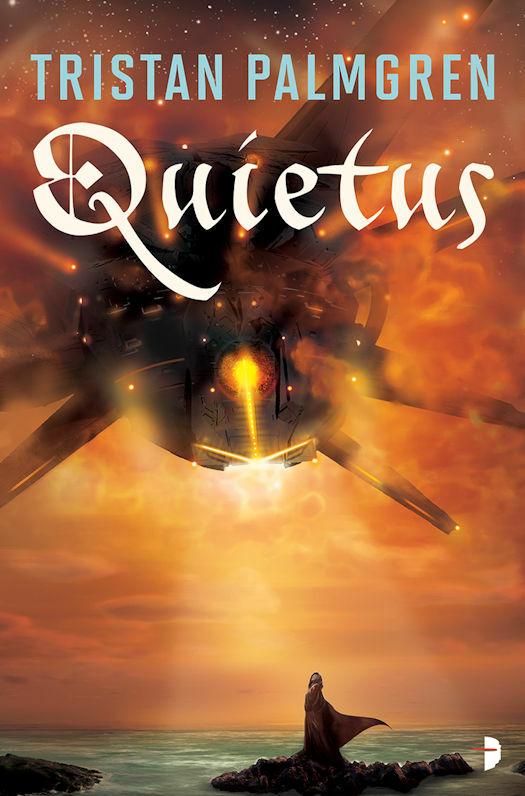 Quiet. Forgettable. In secret, he's a master of poisons and chemicals, trained to protect the Chancellor’s family from treachery. When the Chancellor succumbs to an unknown poison and an army lays siege to the city, Jovan and his sister Kalina must protect the Heir and save their city-state. A captivating tale of humanity pushed beyond its breaking point, of family and bonds of love forged when everything is lost, and of a heroic young woman who crosses a frozen landscape to find her destiny. 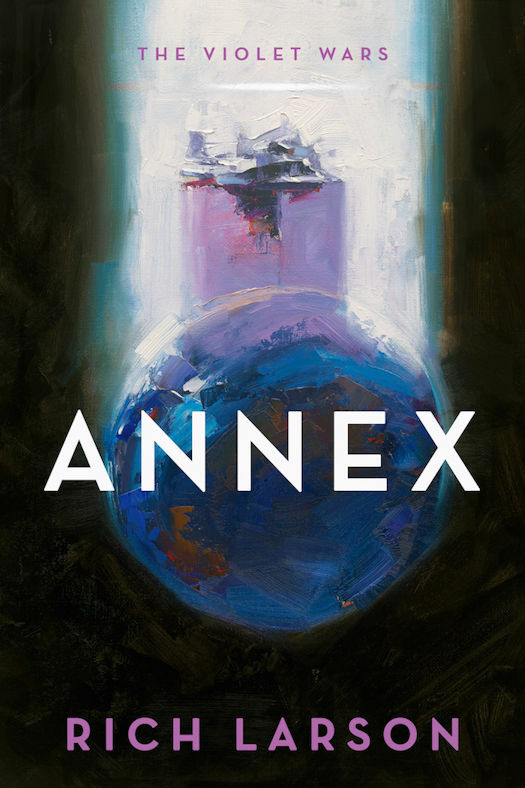 This debut novel is written in a post-apocalyptic tradition that spans The Hunger Games and Station Eleven but blazes its own distinctive path. Forget the old days. Forget summer. Forget warmth. Forget anything that doesn’t help you survive in the endless white wilderness beyond the edges of a fallen world. 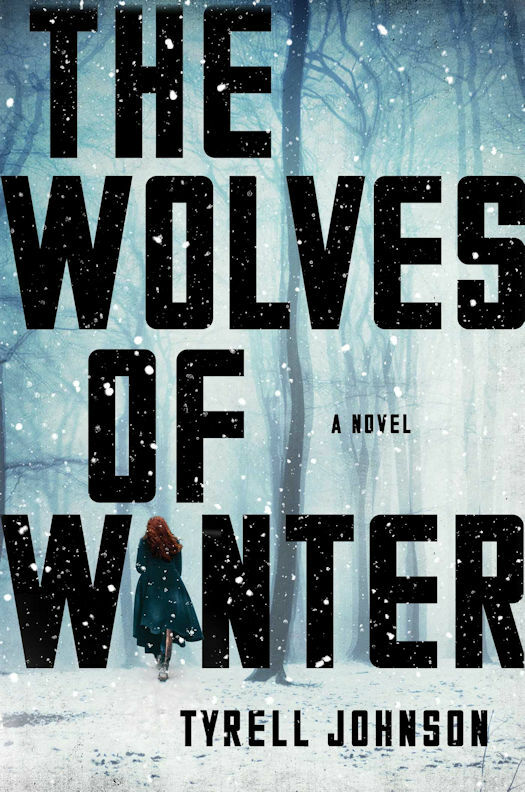 Simultaneously a heartbreakingly sympathetic portrait of a young woman searching for the answer to who she is meant to be and a frightening vision of a merciless new world in which desperation rules, The Wolves of Winter is enveloping, propulsive, and poignant. After ten years on the run, dodging daemons and debt, reviled magician Edrin Walker returns home to avenge the brutal murder of his friend. 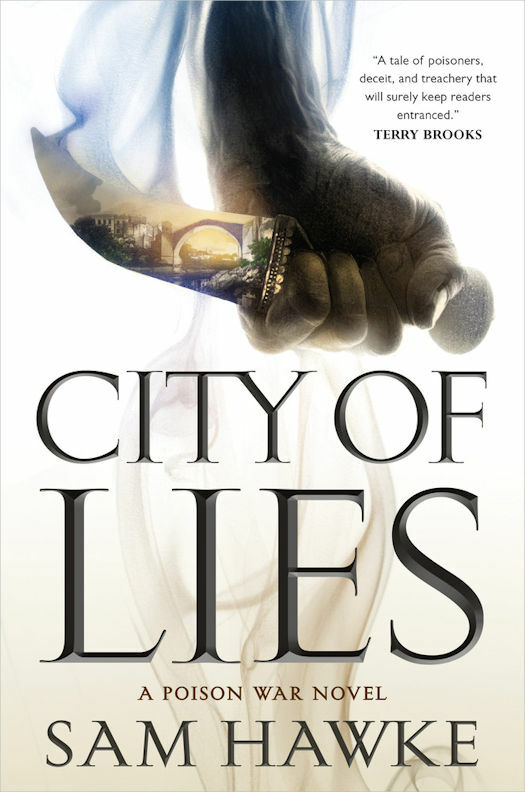 Lynas had uncovered a terrible secret, something that threatened to devour the entire city. He tried to warn the Arcanum, the sorcerers who rule the city. He failed. Lynas was skinned alive and Walker felt every cut. Now nothing will stop him from finding the murderer. 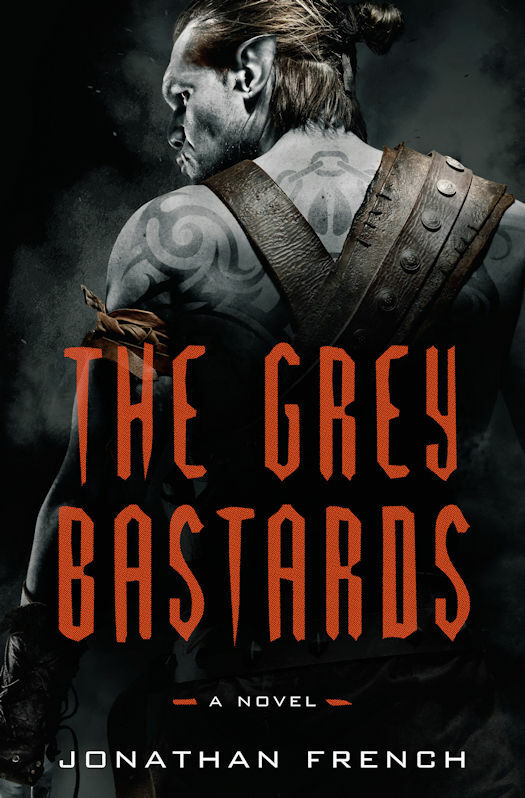 Magi, mortals, daemons, and even the gods – Walker will burn them all if he has to. 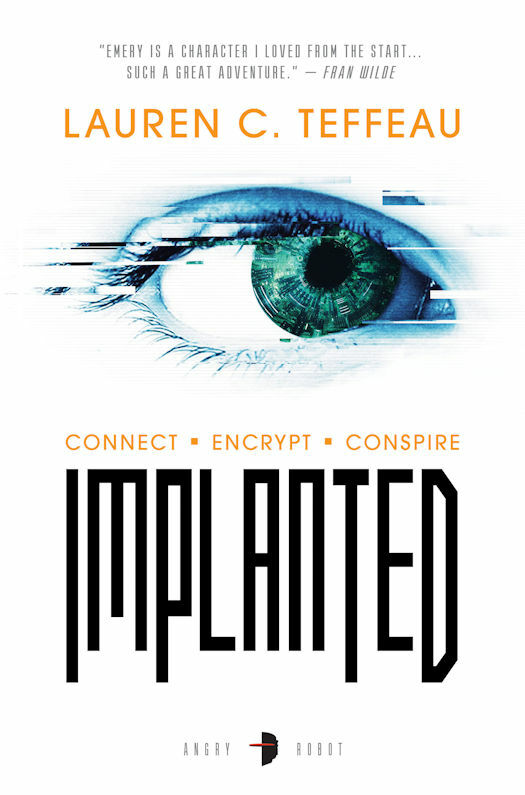 A thrilling adventure in a world one step away from total subjugation by machines. Kyra is certain that Tamsyn committed murder in a twisted bid for power, but she has no proof. 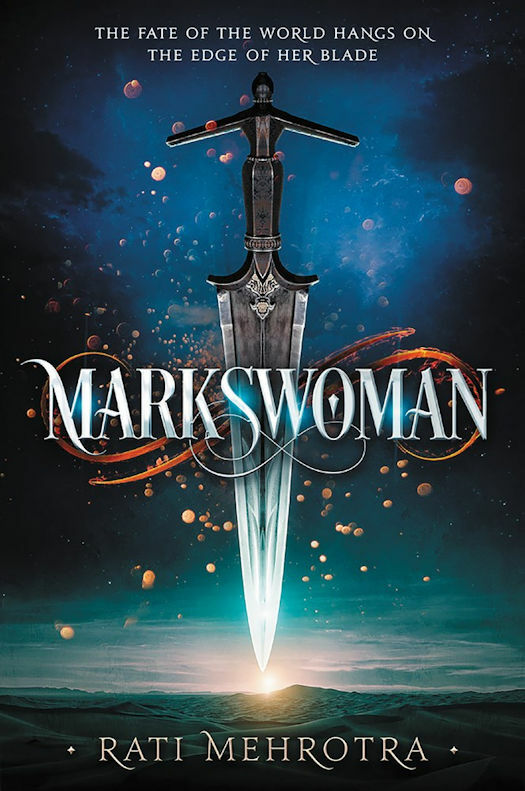 And if she fails to find it, fails in her quest to keep her beloved Order from following Tamsyn down a dark path, it could spell the beginning of the end for Kyra—and for Asiana. Sophie is a dressmaker who has managed to open her own shop and lift herself and her brother, Kristos, out of poverty. Her reputation for beautiful ball gowns and discreetly-embroidered charms for luck, love, and protection secures her a commission from the royal family itself -- and the commission earns her the attentions of a dashing but entirely unattainable duke. Meanwhile, Kristos rises to prominence in the growing anti-monarchist movement. 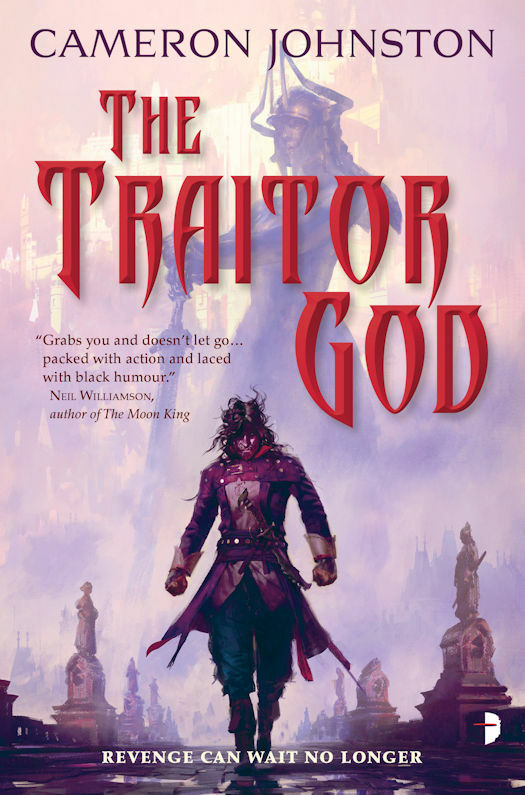 Their worlds collide when the revolution's shadow leader takes him hostage and demands that Sophie place a curse on the queen's Midwinter costume -- or Kristos will die at their hand. 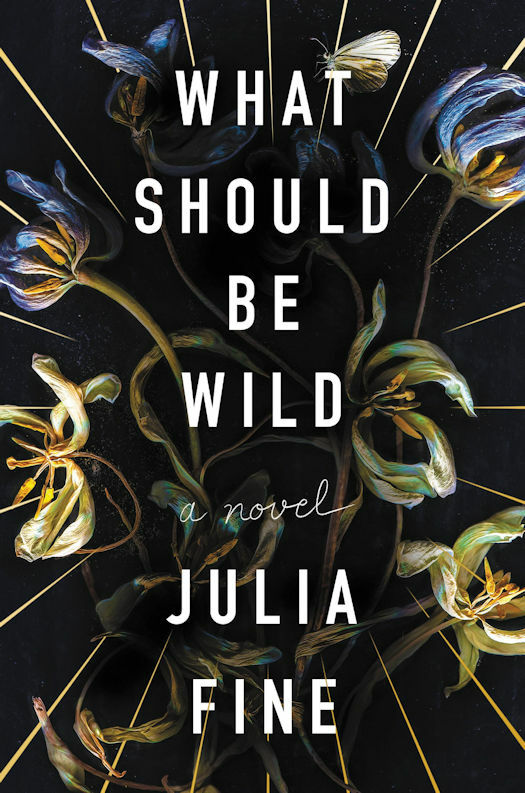 As the proletariat uprising comes to a violent climax, Sophie is torn: between her brother and the community of her birth, and her lover and the life she's striven to build. But whose Republic will it be? Senators, generals, and elemental mages vie for the power to shape the future of the city of Aven. 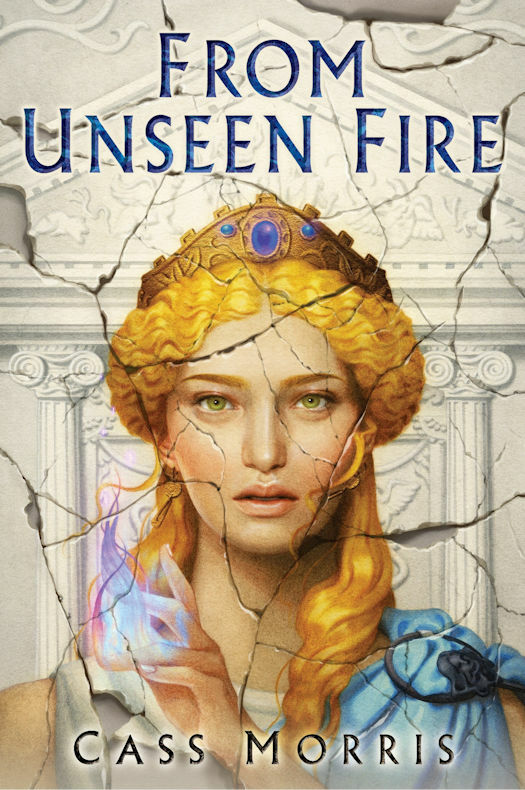 Latona of the Vitelliae, a mage of Spirit and Fire, has suppressed her phenomenal talents for fear they would draw unwanted attention from unscrupulous men. Now that the Dictator who threatened her family is gone, she may have an opportunity to seize a greater destiny as a protector of the people—if only she can find the courage to try. 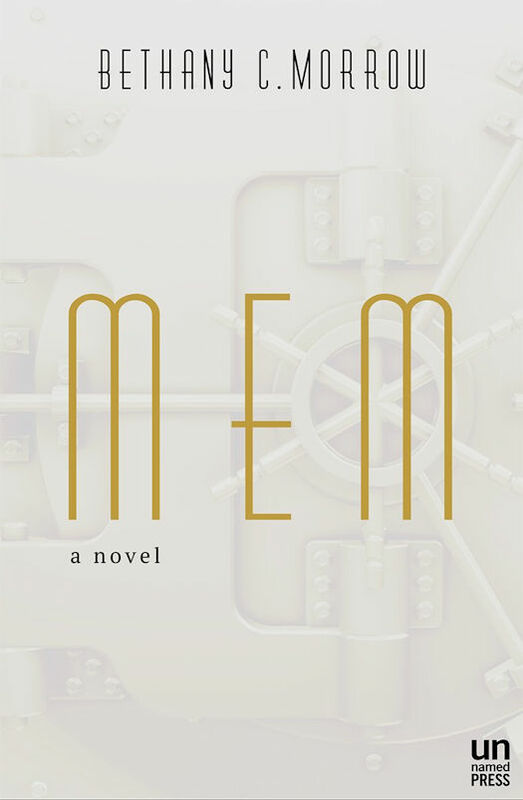 Set in the glittering art deco world of a century ago, MEM makes one slight alteration to history: a scientist in Montreal discovers a method allowing people to have their memories extracted from their minds, whole and complete. 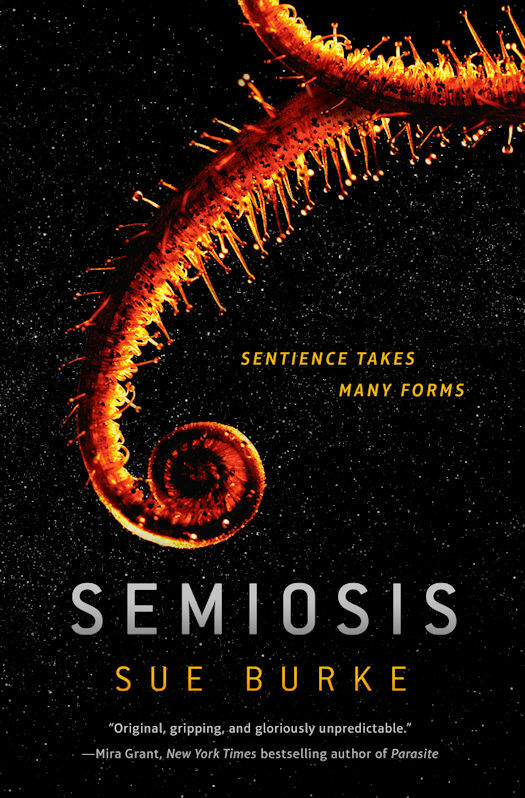 The Mems exist as mirror-images of their source — zombie-like creatures destined to experience that singular memory over and over, until they expire in the cavernous Vault where they are kept. And then there is Dolores Extract #1, the first Mem capable of creating her own memories. An ageless beauty shrouded in mystery, she is allowed to live on her own, and create her own existence, until one day she is summoned back to the Vault. What happens next is a gorgeously rendered, heart-breaking novel in the vein of Kazuo Ishiguro’s Never Let Me Go. Debut novelist Bethany Morrow has created an allegory for our own time, exploring profound questions of ownership, and how they relate to identity, memory and history, all in the shadows of Montreal’s now forgotten slave trade. 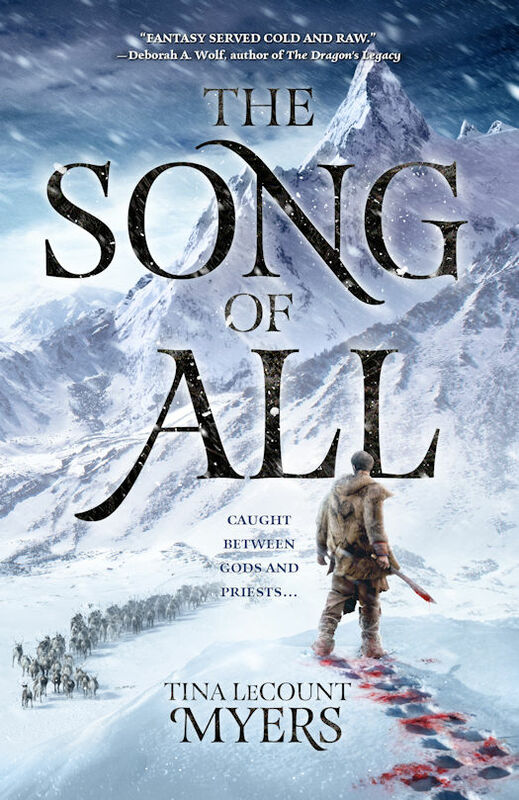 A former warrior caught between gods and priests must fight for the survival of his family in this dark epic fantasy debut, set in a harsh arctic world inspired by Scandinavian indigenous cultures. On the forbidding fringes of the tundra, where years are marked by seasons of snow, humans war with immortals in the name of their shared gods. Irjan, a human warrior, is ruthless and lethal, a legend among the Brethren of Hunters. But even legends grow tired and disillusioned. 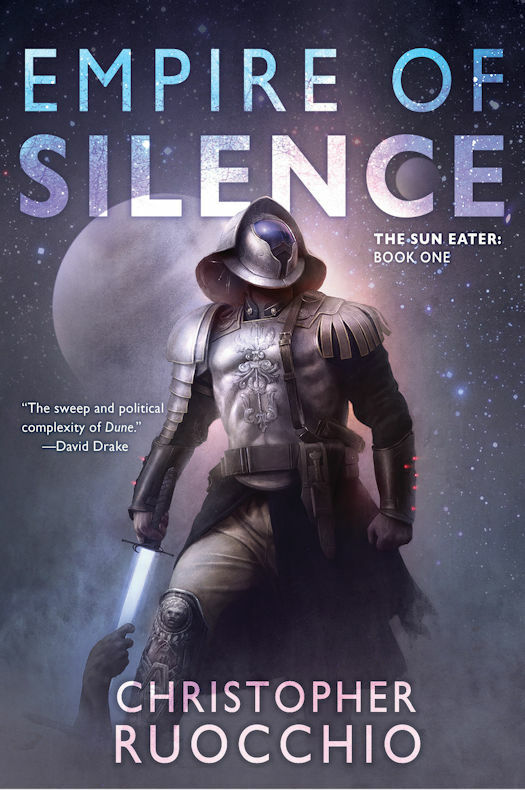 Scarred and weary of bloodshed, Irjan turns his back on his oath and his calling to hide away and live a peaceful life as a farmer, husband, and father. But his past is not so easily left behind. When an ambitious village priest conspires with the vengeful comrades Irjan has forsaken, the fragile peace in the Northlands of Davvieana is at stake. His bloody past revealed, Irjan’s present unravels as he faces an ultimatum: return to hunt the immortals or lose his child. But with his son’s life hanging in the balance, as Irjan follows the tracks through the dark and desolate snow-covered forests, it is not death he searches for, but life. Niccolucio, a young Florentine Carthusian monk, leads a devout life until the Black Death kills all of his brothers, leaving him alone and filled with doubt. Habidah, an anthropologist from another universe racked by plague, is overwhelmed by the suffering. Unable to maintain her observer neutrality, she saves Niccolucio from the brink of death. Habidah discovers that neither her home’s plague nor her assignment on Niccolucio’s world are as she’s been led to believe. Suddenly the pair are drawn into a worlds-spanning conspiracy to topple an empire larger than the human imagination can contain. 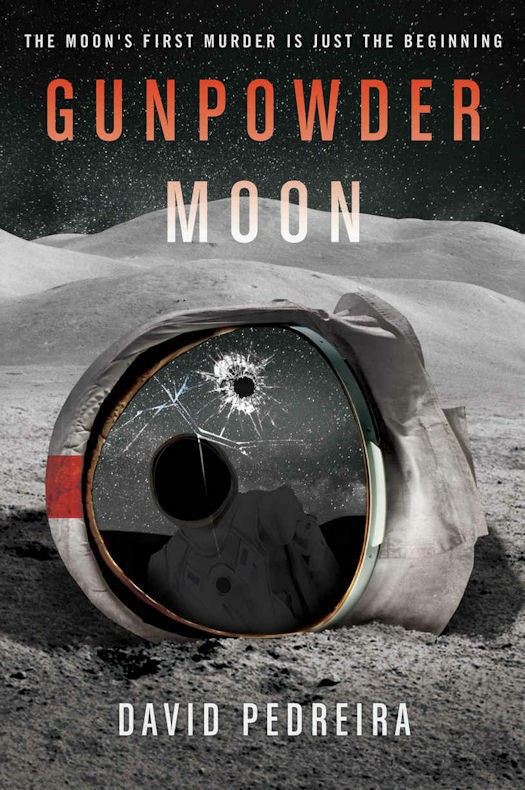 A realistic and chilling vision of life on the Moon, where dust kills as easily as the vacuum of space…but murder is even quicker—a fast-paced, cinematic science fiction thriller, this debut novel combines the inventiveness of The Martian, the intrigue of The Expanse, and the thrills of Red Rising. The Moon smells like gunpowder. 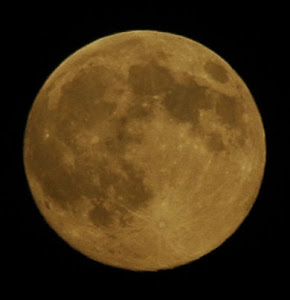 Every lunar walker since Apollo 11 has noticed it: a burnt-metal scent that reminds them of war. 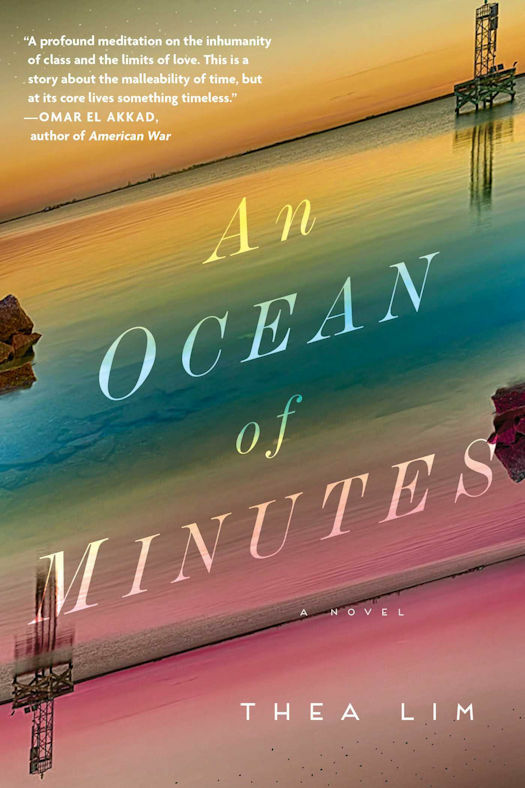 Caden Dechert, the chief of the U.S. mining operation on the edge of the Sea of Serenity, thinks the smell is just a trick of the mind—a reminder of his harrowing days as a Marine in the war-torn Middle East back on Earth. It’s 2072, and lunar helium-3 mining is powering the fusion reactors that are bringing Earth back from environmental disaster. But competing for the richest prize in the history of the world has destroyed the oldest rule in space: Safety for All. When a bomb kills one of Dechert’s diggers on Mare Serenitatis, the haunted veteran goes on the hunt to expose the culprit before more blood is spilled. But as Dechert races to solve the first murder in the history of the Moon, he gets caught in the crosshairs of two global powers spoiling for a fight. Reluctant to be the match that lights this powder-keg, Dechert knows his life and those of his crew are meaningless to the politicians. Even worse, he knows the killer is still out there, hunting. 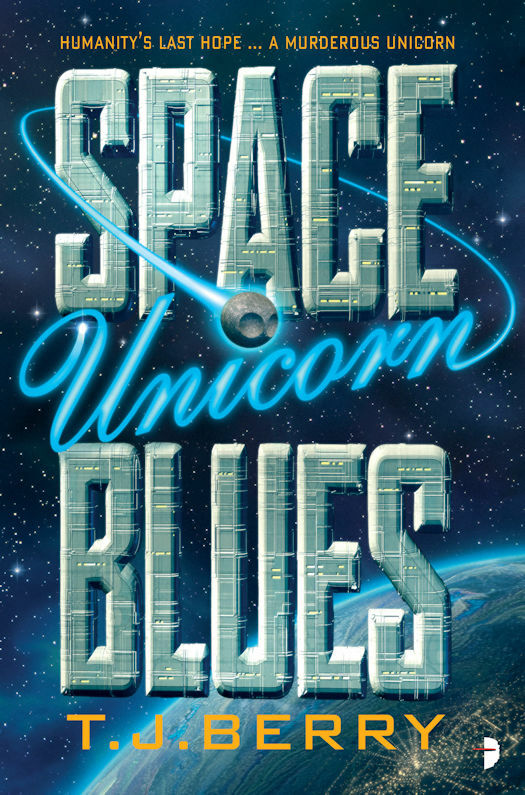 In his desperate attempts to save his crew and prevent the catastrophe he sees coming, the former Marine uncovers a dangerous conspiracy that, with one spark, can ignite a full lunar war, wipe out his team . . . and perhaps plunge the Earth back into darkness. 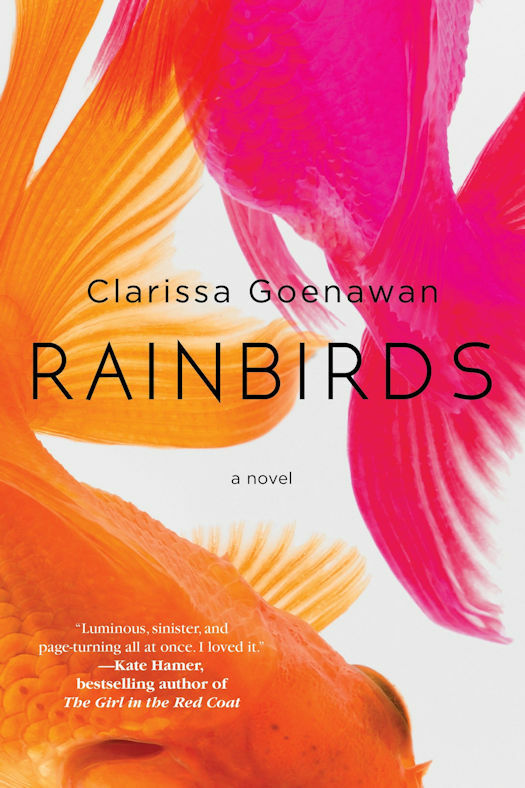 One of Publishers Weekly's Most Anticipated Books of Spring 2018! When newly widowed Elsie is sent to see out her pregnancy at her late husband’s crumbling country estate, what greets her is far from the life of wealth and privilege she was expecting . . . When Elsie married handsome young heir Rupert Bainbridge, she believed she was destined for a life of luxury. But with her husband dead just weeks after their marriage, her new servants resentful, and the local villagers actively hostile, Elsie has only her husband’s awkward cousin for company. Or so she thinks. Inside her new home lies a locked door, beyond which is a painted wooden figure—a silent companion—that bears a striking resemblance to Elsie herself. 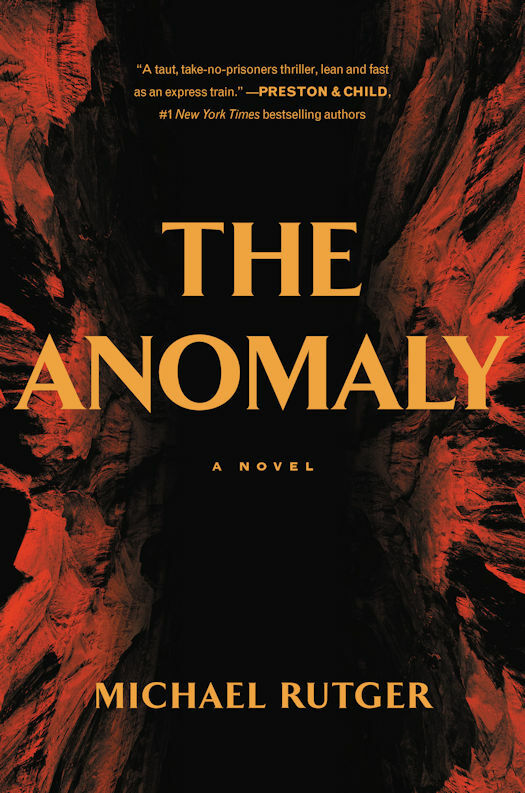 The residents of the estate are terrified of the figure, but Elsie tries to shrug this off as simple superstition—that is, until she notices the figure’s eyes following her. 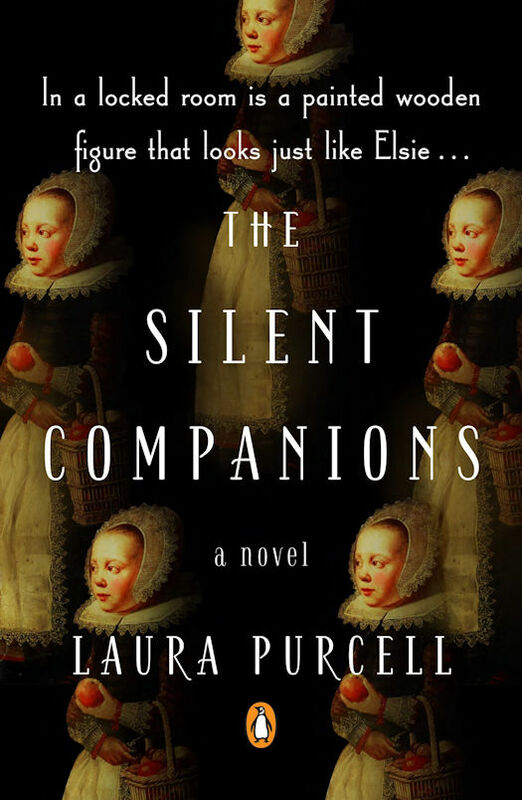 A Victorian ghost story that evokes a most unsettling kind of fear, The Silent Companions is a tale that creeps its way through the consciousness in ways you least expect—much like the companions themselves. The galaxy remembers him as a hero: the man who burned every last alien Cielcin from the sky. They remember him as a monster: the devil who destroyed a sun, casually annihilating four billion human lives—even the Emperor himself—against Imperial orders. 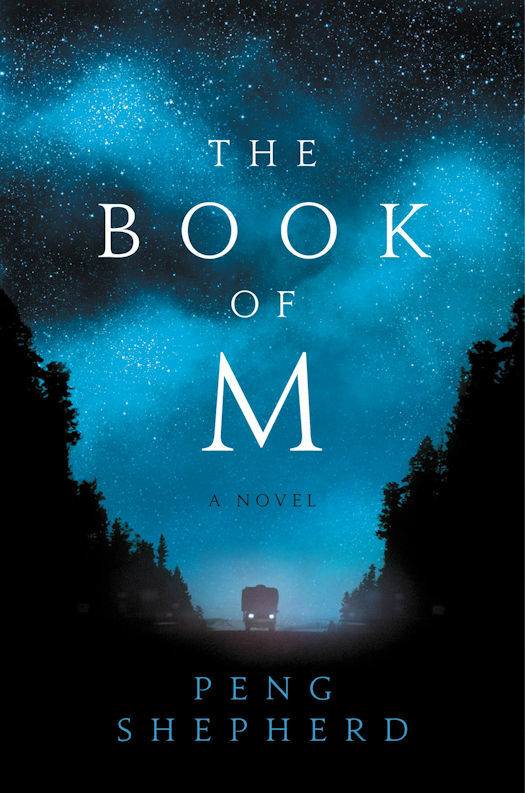 When 95 percent of the earth's population disappears for no apparent reason, Mira does what she can to create some semblance of a life: She cobbles together a haphazard community named Zion, scavenges the Piles for supplies they might need, and avoids loving anyone she can't afford to lose. She has everything under control. Almost. Four years after the Rending, Mira's best friend, Lana, announces her pregnancy, the first since everything changed and a new source of hope for Mira. But when Lana gives birth to an inanimate object--and other women of Zion follow suit--the thin veil of normalcy Mira has thrown over her new life begins to fray. As the Zionites wrestle with the presence of these Babies, a confident outsider named Michael appears, proselytizing about the world beyond Zion. He lures Lana away and when she doesn't return, Mira must decide how much she's willing to let go in order to save her friend, her home, and her own fraught pregnancy. 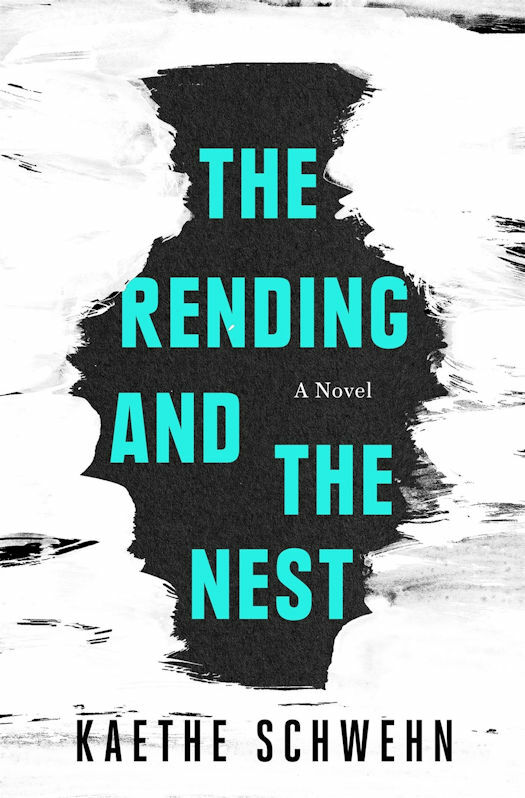 Like California by Edan Lepucki and Station Eleven by Emily St. John Mandel, The Rending and the Nest uses a fantastical, post-apocalyptic landscape to ask decidedly human questions: How well do we know the people we love? What sustains us in the midst of suffering? How do we forgive the brokenness we find within others--and within ourselves? 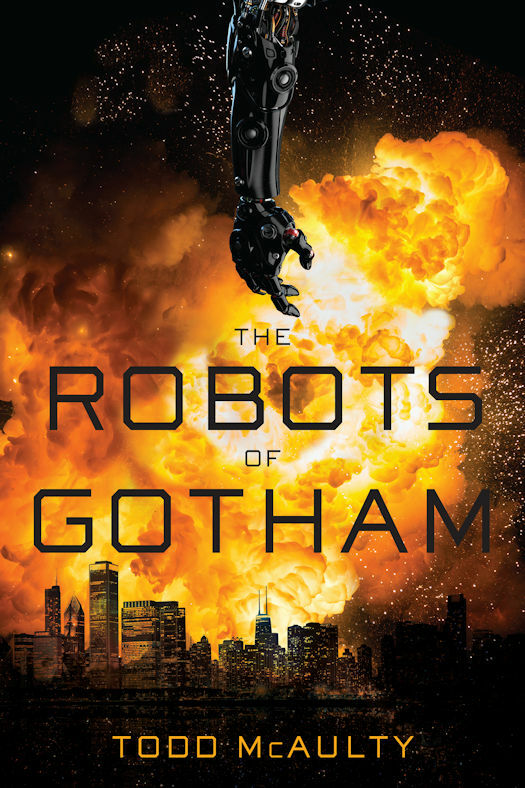 In the burned-out, futuristic city of Empire Island, three young people navigate a crumbling metropolis constantly under threat from a pair of dragons that circle the skies. When violence strikes, reality star Duncan Humphrey Ripple V, the spoiled scion of the metropolis’ last dynasty; Baroness Swan Lenore Dahlberg, his tempestuous, death-obsessed betrothed; and Abby, a feral beauty he discovered tossed out with the trash; are forced to flee everything they've ever known. 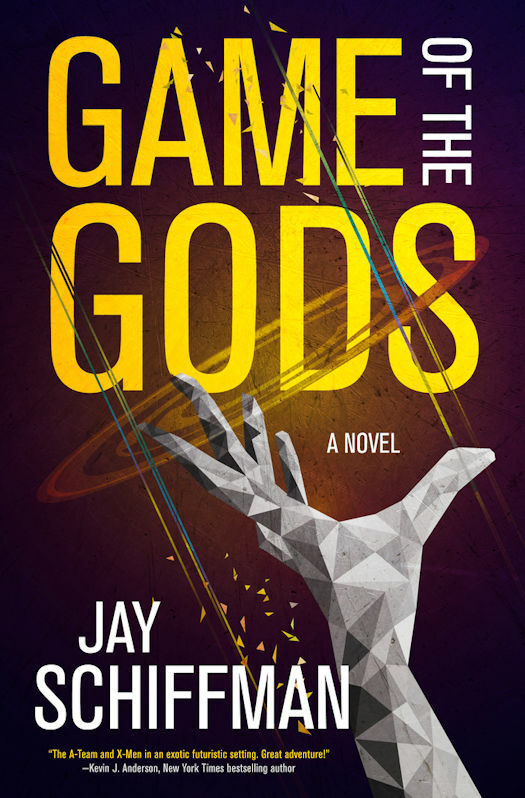 As they wander toward the scalded heart of the city, they face fire, conspiracy, mayhem, unholy drugs, dragon-worshippers, and the monsters lurking inside themselves. 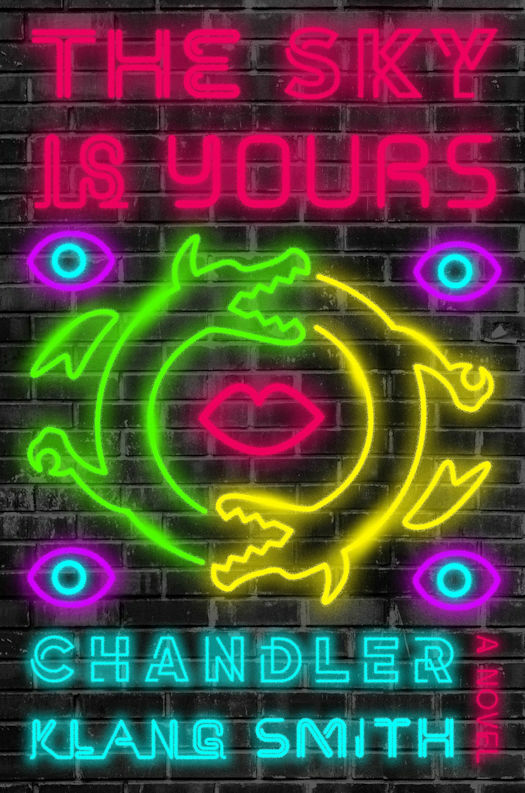 In this bombshell of a novel, Chandler Klang Smith has imagined an unimaginable world: scathingly clever and gorgeously strange, The Sky Is Yours is at once faraway and disturbingly familiar, its singular chaos grounded in the universal realities of love, family, and the deeply human desire to survive at all costs. 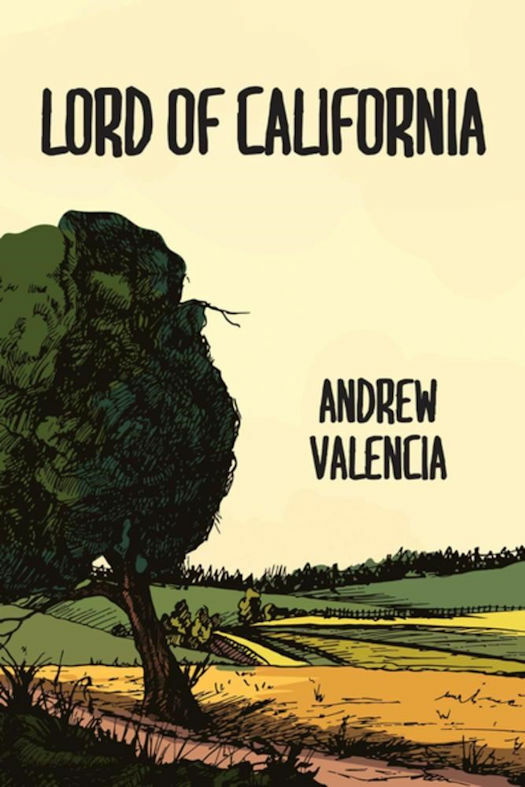 Set in a future where the United States has dissolved and California is its own independent republic, Lord of California follows the struggles of the Temple family as they work at running a farm on a nationalized land parcel in the central San Joaquin Valley. 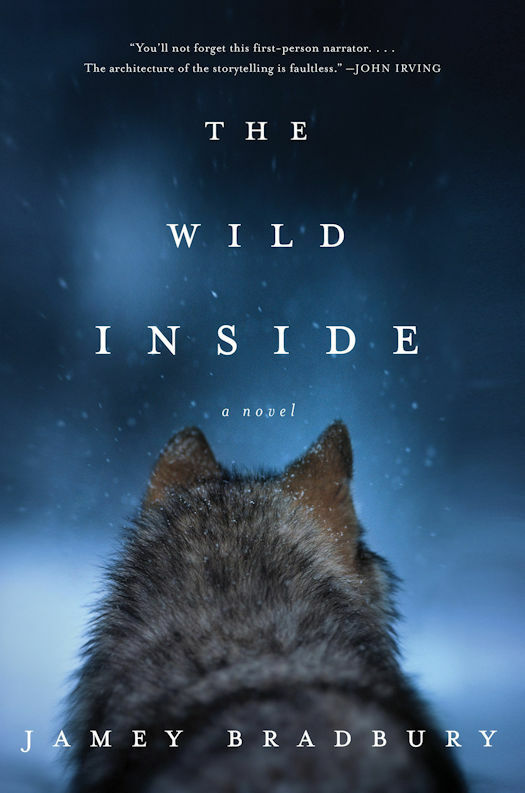 When the family patriarch, Elliot, dies, it’s revealed that he had been keeping five separate families, and in the aftermath of their discovery, his widows and children must come together to keep from losing all they have. But their livelihood is threatened when Elliot’s estranged son tries to blackmail them, unleashing a series of violent confrontations between different factions of the family. A sparse family drama reminiscent of Cormac McCarthy, combined with the intimate first-person narratives of Kazuo Ishiguro, Lord of California is a powerful debut novel. Set 500 years in the future, a mad cow-like disease called “Bent Head” has killed off most of the U.S. population. Those remaining turn to magic and sacrifice to cleanse the Earth. 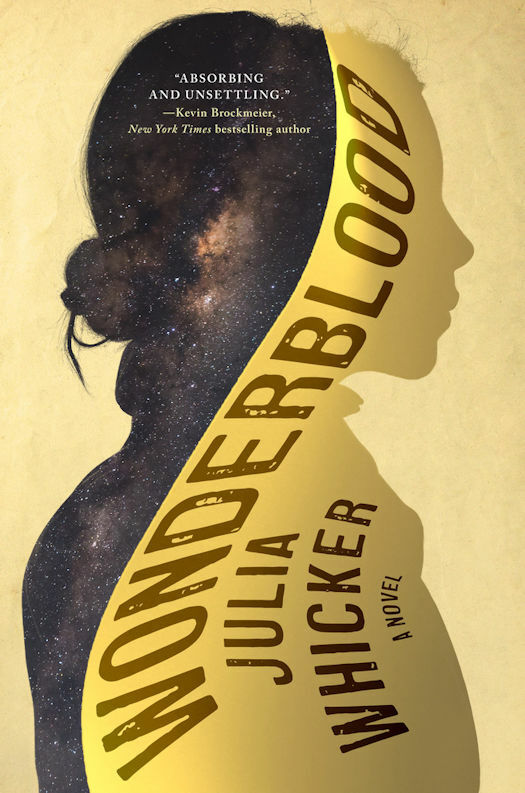 Wonderblood is Julia Whicker's fascinating literary debut, set in a barren United States, an apocalyptic wasteland where warring factions compete for control of the land in strange and dangerous carnivals. A mad cow-like disease called "Bent Head" has killed off millions. Those who remain worship the ruins of NASA's space shuttles, and Cape Canaveral is their Mecca. Medicine and science have been rejected in favor of magic, prophecy, and blood sacrifice. 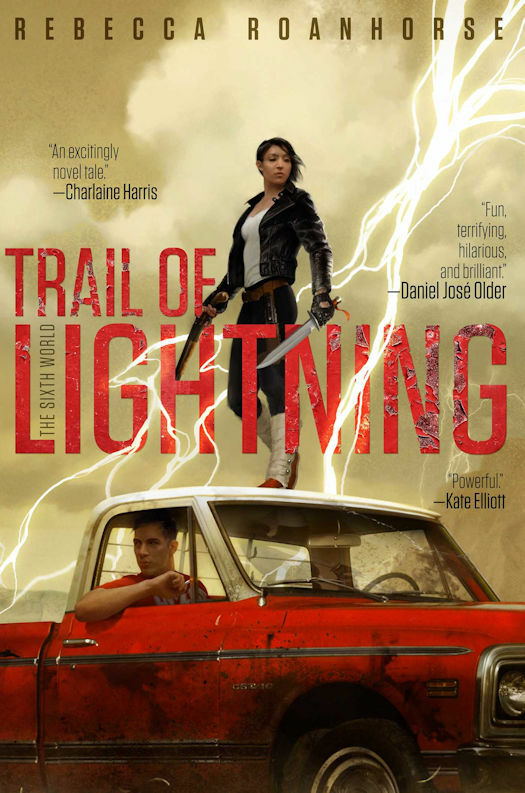 When traveling marauders led by the bloodthirsty Mr. Capulatio invade her camp, a young girl named Aurora is taken captive as his bride and forced to join his band on their journey to Cape Canaveral. 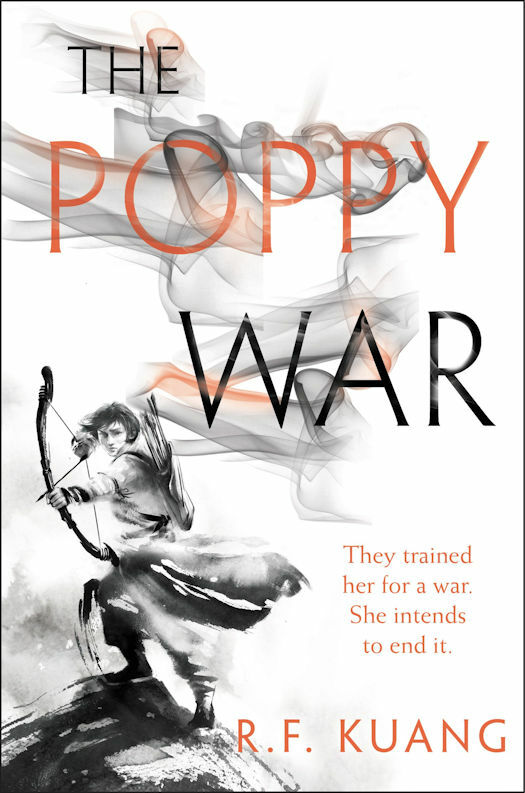 As war nears, she must decide if she is willing to become her captor's queen. But then other queens emerge, some grotesque and others aggrieved, and not all are pleased with the girl's ascent. Politics and survival are at the centre of this ravishing novel. The Thousand Deaths of Ardor Benn is the first in an action-packed epic fantasy series featuring master con artist Ardor Benn. 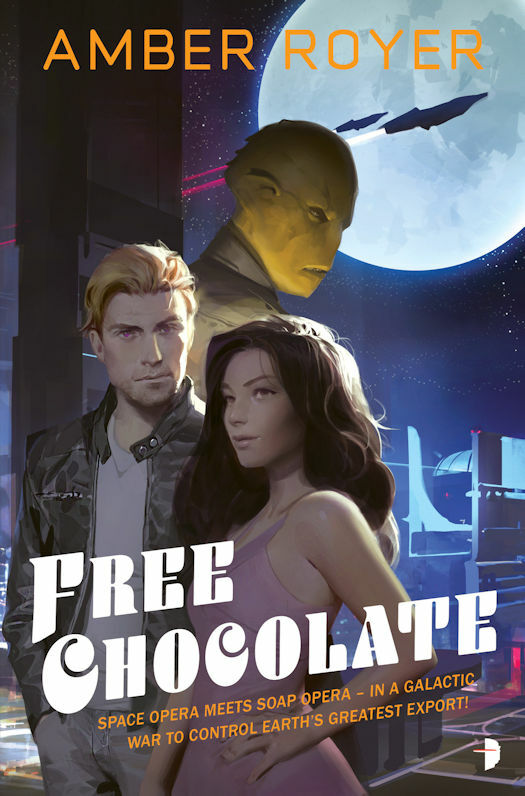 Ardor Benn is no ordinary thief. Rakish, ambitious, and master of wildly complex heists, he styles himself a Ruse Artist Extraordinaire. When a priest hires him for the most daring ruse yet, Ardor knows he’ll need more than quick wit and sleight of hand. Assembling a dream team of forgers, disguisers, schemers, and thieves, he sets out to steal from the most powerful king the realm has ever known. But it soon becomes clear there’s more at stake than fame and glory – Ard and his team might just be the last hope for human civilization. 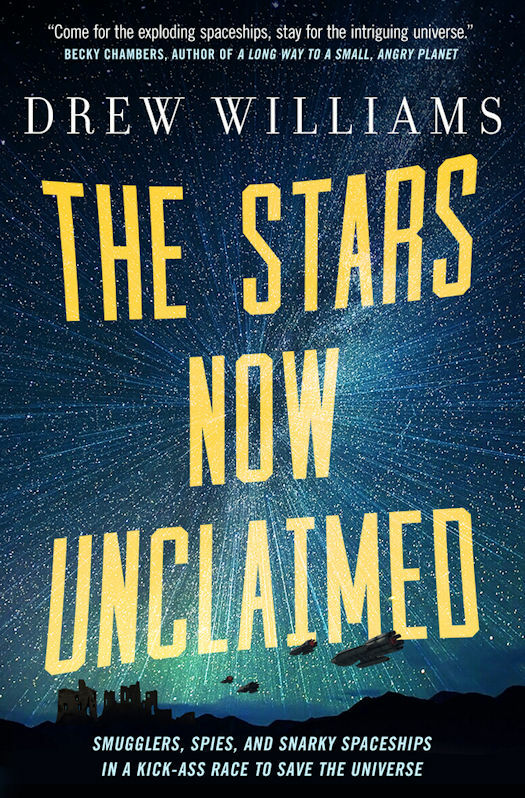 Drew Williams's The Stars Now Unclaimed is a fun, adventure-filled space opera set in a far-future galaxy. 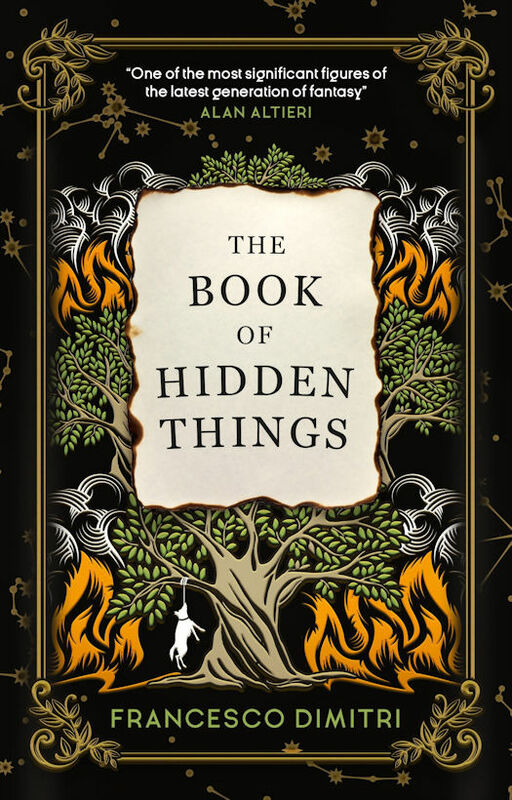 Set in a post-apocalyptic world as unique and vividly imagined as those of Station Eleven and The Girl with All the Gifts, a startling and timely debut that explores what it is to be human and what it truly means to be connected in the digital age. IT MAKES US. IT DESTROYS US. NOW WE MUST LEARN TO LIVE WITHOUT IT. The Feed is accessible everywhere, by everyone, at any time. It instantaneously links us to all information and global events as they break. Every interaction, every emotion, every image can be shared through it; it is the essential tool everyone relies on to know and understand the thoughts and feelings of partners, parents, friends, children, colleagues, bosses, employees . . . in fact, of anyone and everyone else in the world. Tom and Kate use the Feed, but Tom has resisted its addiction, which makes him suspect to his family. After all, his father created it. But that opposition to constant connection serves Tom and Kate well when the Feed collapses after a horrific tragedy shatters the world as they know it. 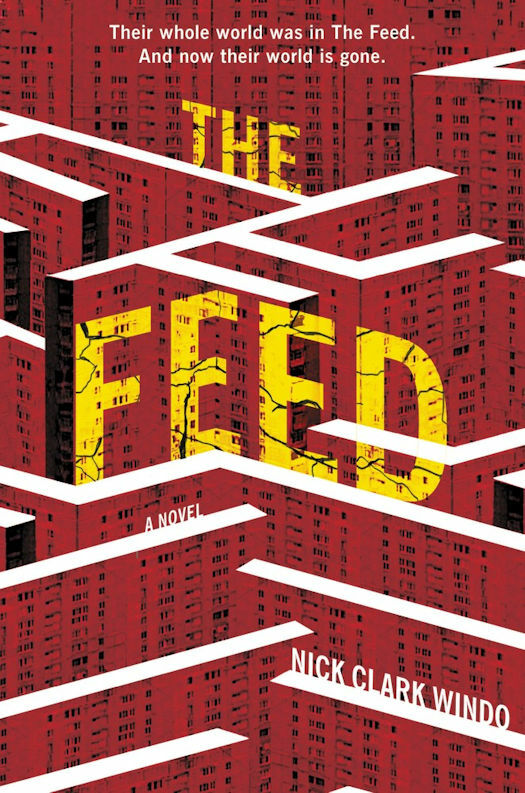 The Feed’s collapse, taking modern society with it, leaves people scavenging to survive. Finding food is truly a matter of life and death. Minor ailments, previously treatable, now kill. And while the collapse has demolished the trappings of the modern world, it has also eroded trust. In a world where survival of the fittest is a way of life, there is no one to depend upon except yourself . . . and maybe even that is no longer true. Tom and Kate have managed to protect themselves and their family. But then their six-year-old daughter, Bea, goes missing. Who has taken her? How do you begin to look for someone in a world without technology? And what happens when you can no longer even be certain that the people you love are really who they claim to be?